Working with an image that you would like to straighten, level out (i.e. 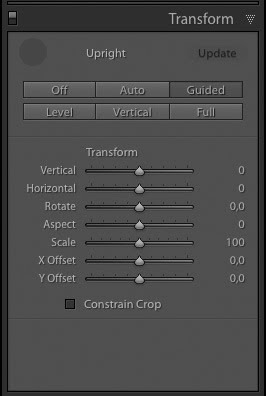 straighten the horizon), or even adjust the perspective of, can now be very simply done using the transform panel in the develop section of Lightroom. 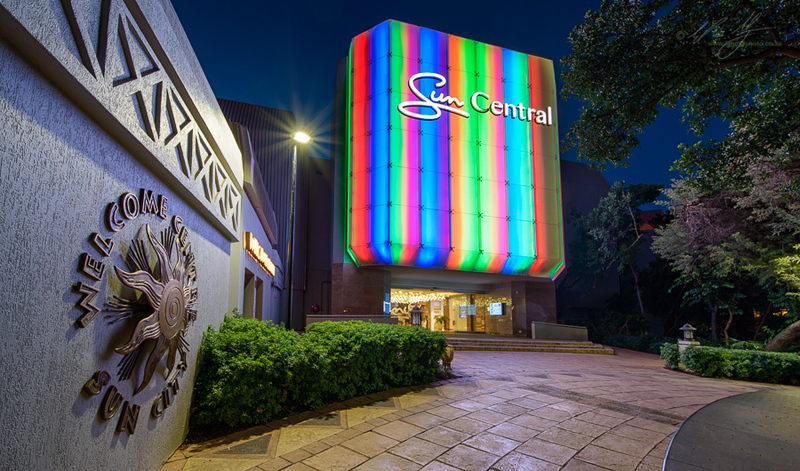 There are several options available that most users will recognize from earlier versions of Lightroom when they were available under the manual tab of the Lens Corrections panel. 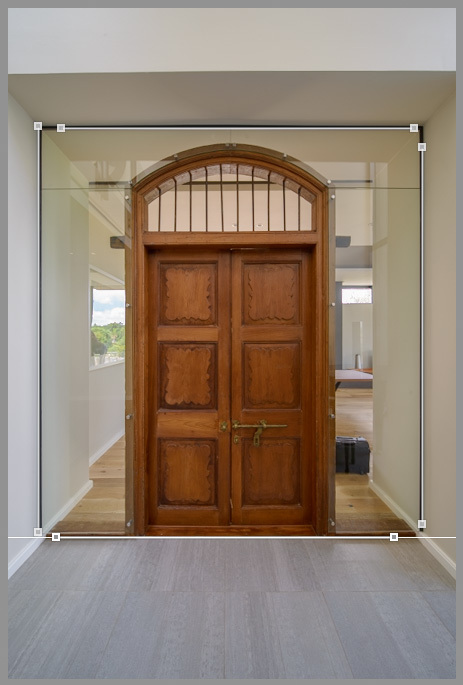 If I have one criticism it is that I now have to bounce between the manual section of Lens Corrections and the Transform panel to correct issues in some architectural images, whereas in previous versions of Lightroom it was all nestled under one panel. I can accept the trade off though considering how powerful and quick the new Transform panel. Options under the Transform panel are: Auto, Level, Vertical, Full, Guided and of course Off. A simple explanation of these is that Auto does just that; it attempts to automatically level the horizon and straighten any obvious vertical lines in the image. Level will try to level a horizon while Vertical takes care of the classic 'converging verticals' that occurs when you angle your camera upwards or downwards in relations to the horizon. Full tries to use a combination of Level, Vertical and Auto corrections. Personally I have not found an image where Full actually works. It usually throws the image so far out as it is trying to flatten perspective in all available vertices. Hence why Guided is so important, as it allows you to select the lines that you require to be vertical or horizontal. When you click on the Guided button the cursor changes its icon to a little target or plus-sign with a loupe attached to it. The idea is that you then use the mouse to draw (click and drag) a line along the line that you require to be corrected as a vertical or horizontal line. 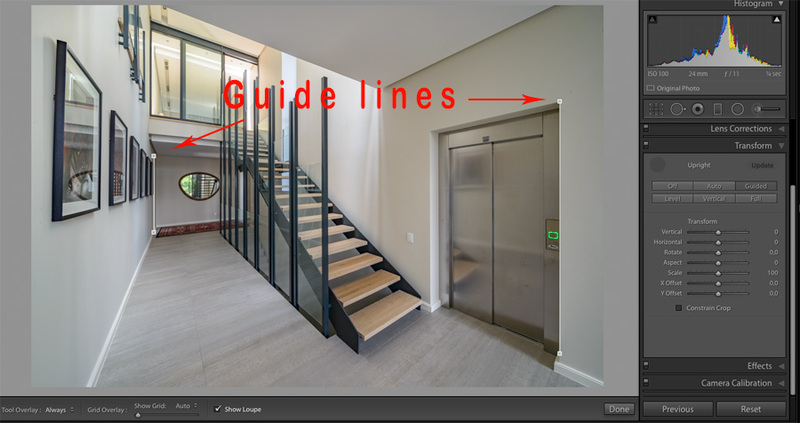 Lightroom allows you one to four guides. As soon as you create a guide the image changes slightly to accommodate for the correction. In theory the correct way to create guides is to lay a vertical and then a horizontal guide line. Personally I have found laying two vertical lines more useful as my images tend to be premised around the concept of three dimensional depth. If I need to straighten a horizontal, I can then lay a third horizontal guide. If the image is designed to be completely flat, using all four guides (two horizontal, two vertical) pretty much sorts this out. As with many tool in the Lightroom panels, you can further finesse the transform by using the sliders below the tool options. You can also opt to have an automatic crop applied (click the check-box marked auto constrain crop) or leave it for manual cropping. In the past I have had to a significant amount of work in Photoshop to sort out architectural images. The Guided Tool in Lightroom has made a significant impact on the speed at which I can work through initial images now. They still end up in Photoshop for blending, luminosity masking and the like, but the actual straightening and smoothing out of optical distortions is now far simpler and quicker to do. As a bonus, Adobe have recognized how important the tool is and have dedicated a keyboard shortcut to it. Hit Shift+T and you automatically go through to the Guided tool in the Transform panel from any other mode or panel that you happen to be in. One of the reasons that Lightroom is so successful is simply because it is so easy to use and quick to learn. The Guided tool is another example of this. With a little practice it can turn virtually any Lens into the equivalent of a perspective control lens.